As for the fellow on the far right, watching over them like the proud tactician he was, it’s the man who made it all possible, manager Brian Epstein. He was just 28, but, in the eyes of his youthful proteges, practically middle-aged. It was the summer of 1963 and a cultural earthquake was resetting the foundations of British popular music. And from being a place usually more associated with breeding comedians, the city of Liverpool had overnight become the capital of pop. 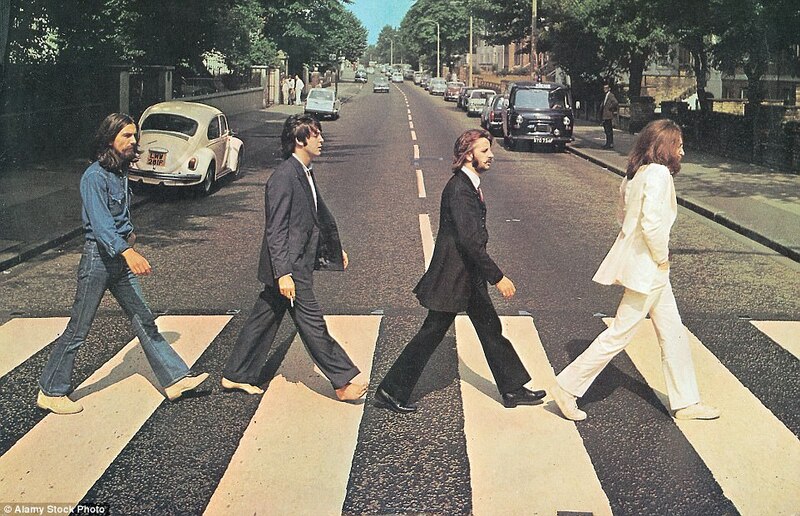 The Beatles had started it with No.1 hits From Me To You and She Loves You, but then right behind them came Gerry and the Pacemakers’ How Do You Do It? and I Like It — followed by Billy J Kramer’s Do You Want To Know A Secret? and Bad To Me. Suddenly, it was cool to have a Scouse accent — whether or not you could sing. 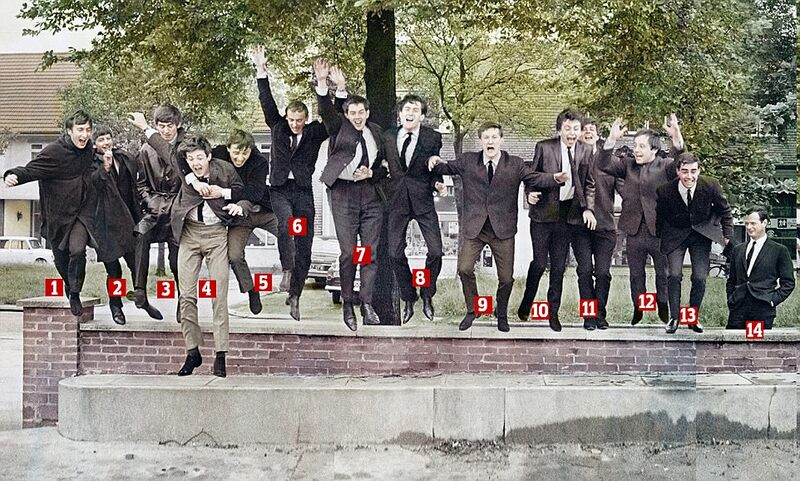 Six months earlier, when these 13 young men were still following each other on stage at the tiny Cavern Club in Liverpool, to have imagined that such success could happen would have seemed lunatic. 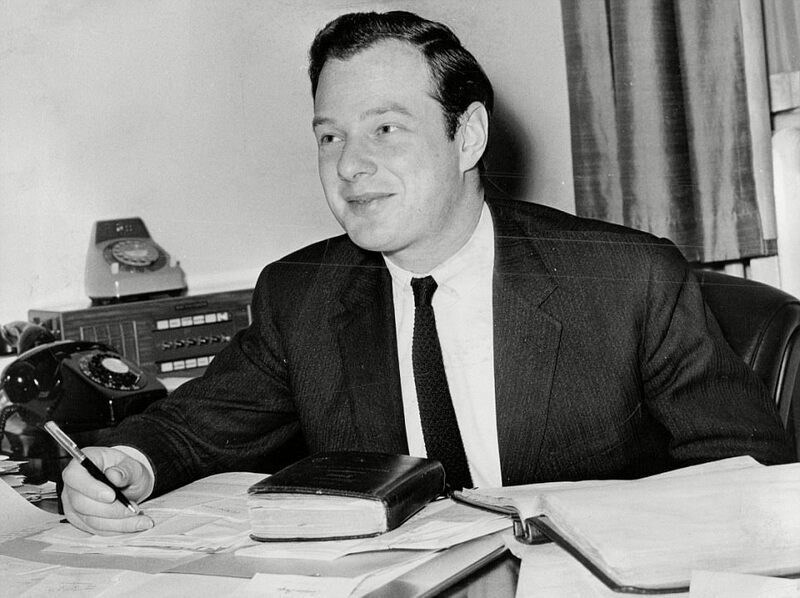 The previous year, Brian Epstein had virtually to beg to get a record deal for The Beatles. And it was only when The Beatles defied London’s showbiz sneers and took off that he began to realise, and also to sign up, the depth of untapped talent on Merseyside — which came to be known as the Mersey Sound. Something was happening right across the country in those early Sixties days. Not only in music and not only in Liverpool. Schools, universities and art colleges were turning out ambitious young people from working class and lower middle-class homes, whose backgrounds had not been privileged, but who, energised by education, were reaching out to grab the future and shape it in their own peculiarly British way. It could be felt in the arts, business and fashion at a time when suddenly everything seemed possible, and when the world appeared to be growing younger. Take another look at the photograph of these young men: they aren’t knowing, cynical City-slickers or super-fashionable posing dandies. Dressed in their stage suits, possibly for some of them the only suits they possessed, so sudden had been their ascendance to stardom, their expression carries the glow of surprised excitement. Epstein liked his groups to look respectable, but before long that image would be replaced by fancy dress, kaftans, beads and bells, before glitter and platform shoes became the rage, along with perms and hair dyes, then make-up — and glam and punk led to the Mohicans as pop became about how you looked as much as what you sang. Then there would be the custom-made torn jeans and T-shirts, the bandanas, tattoos and eyebrow, nose and ear-rings, and the sheer fashionable phoniness of it all. But, back then, consider Paul McCartney, only just turned 21, laughing as his pal Gerry Marsden grabs hold of him in mid-air. How innocent they all look: how unaffected, how grateful to be alive and part of this extraordinary revolution of youth. Time, however, moves relentlessly on. For some in the photograph, fame would turn into a prison; for others, it would become a fleeting memory as the hits dried up. 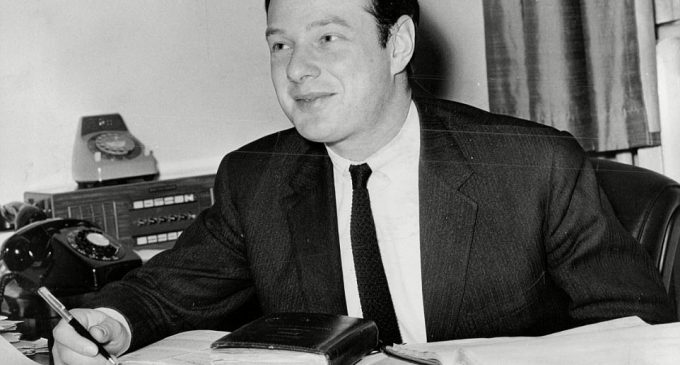 And, for Brian Epstein it would be a death sentence. Just four years later he would die from a drugs overdose. But right there on that summer’s day in Liverpool in 1963, there was confidence, camaraderie and the well-scrubbed optimism of youth. Those really were the days. 1 John Lennon, murdered in Manhattan, New York, aged 40, December 1980. 2 Ringo Starr, 77, has just played Las Vegas after releasing his latest album, Give More Love, last month. 3 George Harrison, died aged 58 from lung cancer in Beverly Hills, California, in November 2001. 4 Paul McCartney, 75, played Brazil last night during his current world tour. 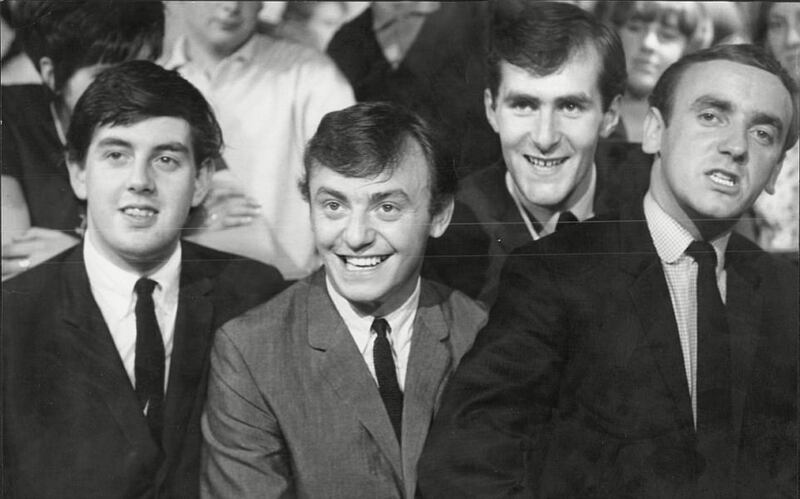 5 Gerry Marsden, 75, lead singer/guitarist with Gerry and the Pacemakers, is currently on a farewell UK tour. He had No. 1 hits (all 1963) with How Do You Do It?, I Like It and You’ll Never Walk Alone. Ferry Cross The Mersey reached No. 8 in 1964. Marsden made a brief return to No.1 in 1985 with a superstar recording of You’ll Never Walk Alone to benefit victims of the Bradford City stadium fire. The Pacemakers disbanded in 1966 but reformed in 1974 with a new line-up. He was awarded the MBE in 2003 (the same year he underwent a triple heart by-pass), and has since been given the Freedom of the City of Liverpool. Describes Lennon as his ‘best pal’ and regretted they never wrote together. Marsden is a lifelong fan of Liverpool Football Club and You’ll Never Walk Alone has been sung at almost every home game since being adopted by the Kop in 1963. He performed it at Wembley at the 1989 FA Cup final in honour of fans who had died at Hillsborough the previous month. He has been married to wife Pauline for 27 years and has two daughters and a grandson. Lives on The Wirral in Merseyside. 6 Freddie Marsden, died aged 66 in 2006 in Southport, Lancashire. He was the brother of Gerry Marsden and played drums for Gerry and the Pacemakers. After the group broke up, he became a telephone operator on £14 a week, then joined the Civil Service. He later opened a driving school (called Pacemakers). Once asked if he still had his drums, he said: ‘No, I got rid of them. They took up too much space in the garage.’ He was married to Margaret, with a son and daughter. 7 John ‘Les’ Chadwick, 74, Pacemakers’ bassist. He stayed with the group until their break-up in 1966, then set up a garage business with fellow Pacemaker Les Maguire and moved to Australia, where he opened an employment agency in Sydney. 8 Les Maguire, 75, Pacemakers’ keyboard player. After the group broke up, he briefly fronted the Mississippi blues band, Hog Owl in 1970, and teamed up with the Pacemakers for occasional reunion performances. He lives in Formby, Merseyside. 9 Robin MacDonald, died in 2015, aged 72. He was founder, guitarist and bassist of Billy J. Kramer and the Dakotas. Originally from Manchester, the band began as The Dakotas before becoming Liverpudlian singer Billy J. Kramer’s backing band, at manager Brian Epstein’s request. Hits with Billy J. Kramer include Do You Want To Know A Secret, Bad To Me, I’ll Keep You Satisfied and From A Window — all penned by Lennon and McCartney. The band broke up in 1967 but reformed 20 years later. When the original Dakotas split, MacDonald joined Engelbert Humperdinck’s backing band and supported Frank Sinatra. Although no longer involved in music, his daughter Sarah Mac is a singer/songwriter. 10 Mike Maxfield, 73, songwriter/guitarist with Billy J. Kramer and the Dakotas. He left the band in 1965 but rejoined 20 years later. Despite suffering a stroke in 2004, Maxfield worked on TV shows in America, where he still lives. 11 Billy J. Kramer (William Ashton), 74, lead singer of Billy J. Kramer and the Dakotas. Still making music and performing across the world. In 2013 he released the CD I Won The Fight. He says: ‘I’m not planning on retiring.’ He lives with his second wife in America. 12 Ray Jones, bassist with Billy J. Kramer and the Dakotas, died in 2000, aged 60, of a heart attack. He left the band after a row over money with Epstein. He joined other bands before quitting music to work as a psychiatric nurse and then as a computer instructor for the handicapped. 13 Tony Mansfield (Anthony Bookbinder), 74, drummer with Billy J. Kramer and the Dakotas. Brother of singer Elkie Brooks, he left music in 1999 for a career in finance and lives in Manchester.